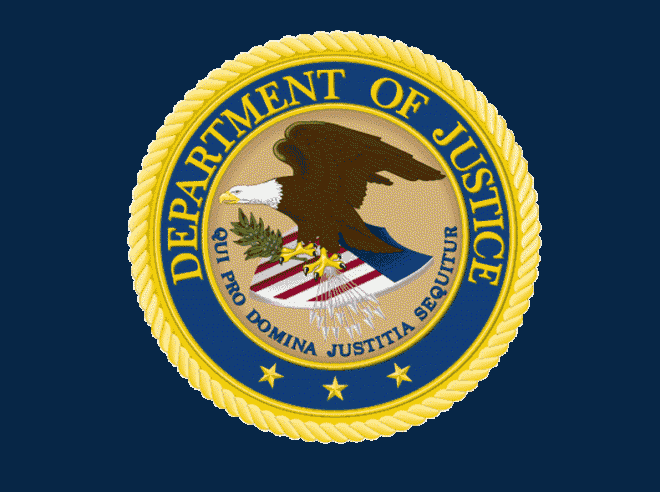 The Department of Justice (DOJ) plans to throw its prosecutorial weight behind efforts to stem the growing number of foreign government-sponsored cyberattacks against U.S. companies and government agencies. The DOJ’s effort marks a shift in combating the national security threat. In the past, the Department of Homeland Security, the Defense Department and the National Security Agency led investigations of state-sponsored cyberespionage. Now, the DOJ will step up the part it plays by prosecuting government officials and hackers with the Federal Bureau of Investigation providing the police work. While acknowledging that arresting perpetrators in some countries would be difficult, the DOJ has been successful in extraditing suspects in other cases, such as terrorism, cyber-hacking that wasn’t state sponsored, and the illegal exportation of weapons and technology from the U.S., Boyd said. For example, a suspect in a country without an extradition treaty with the U.S. is sometimes arrested when visiting another country. As part of the latest effort, the DOJ’s National Security Division is creating within U.S. Attorney offices across the nation a new position called the National Security Cybersecurity Specialist. The prosecutor will be specially trained to work with companies that are believed to be victims of state-sponsored cyberattacks. The U.S. Defense Security Service reported this week that the number of foreign cyber-attacks bent on stealing U.S. technology, intellectual property, trade secrets and classified information rose by 75 percent fiscal years 2010-11. The FBI reported in July that cyberespionage cost the U.S. $13 billion through the first quarters of the fiscal year, which ended Sept. 30. While supporting the arrest of cyberspies, experts do not believe the DOJ’s efforts will an impact on the upward trend in cyberespionage, because of the difficulty in extraditing suspects from a country sponsoring at attack. Nevertheless, a prosecutorial approach would embarrass nations and government officials, said Darren Hayes, a Pace University professor and an expert in computer forensics and security. Also, if any companies are involved, then the U.S. government could prevent them from doing business in the U.S. In addition, cases against the worse offenders could be used as a negotiating chip in future talks, Hayes said. In addition, the U.S. could join other nations targeted by the same countries to take punitive actions collectively. One area where locating suspects would be difficult is in cyberattacks against industrial control systems (ICS) that run the nation’s critical infrastructure, such as power plants, nuclear facilities and water filtration systems. An attack on an ICS would be much more difficult to trace to the source than the hacking of a corporate or government information system, said Joe Weiss, managing partner of Applied Control Solutions and an expert in ICS security. First, there is the difficulty in determining whether equipment failure in a facility is due to a cyberattack or an internal mechanical or electrical problem, Weiss said. Secondly, attacks on information systems are usually identified through logs in security-related technology. With ICS, that kind of information is seldom available. “Trying to get attribution from anything that’s cyber is very, very difficult when it comes to an ICS,” Weiss said.